Thanks to audiences' low expectations, John Wick shocked and surprised with its constant display of badassery/asskickery. Becoming something of a runaway success, the 2014 Keanu Reeves action flick has already been confirmed for a sequel. Rather than switch up the creative team, the forthcoming Wick sequel (which we can only hope features the tagline "Some Wicks never burn out") will see Reeves work with the original film's creative team once again. That means the film will be directed by the returning duo of David Leitch and Chad Stahelski, with its screenplay handled by Derek Kolstad. Like the first, the film will be produced by Basil Iwanyk for Summit Entertainment. 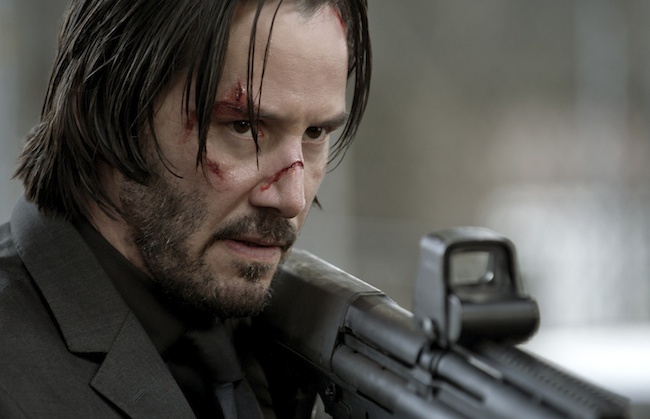 In a press release, Lionsgate's president of acquisitions and co-productions said, "With such tremendous fan and critical support for John Wick, we knew that there was still so much more of this story to tell.... We are thrilled that Keanu, David and Chad have re-teamed with us and promise to bring audiences even more excitement the second time around." Here's hoping John Wick gets a new dog and, more importantly, takes care of it a little better in the sequel.